There are numerous studies showing that STEM persistence rates are poor (especially amongst under-represented minority, first-generation, and female students) (1-2). It is also fairly broadly accepted that introductory science and math courses act as a primary barrier to this persistence, with their large class size. 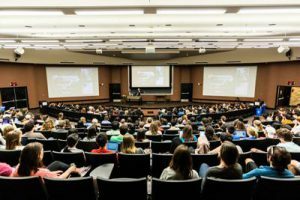 There is extensive evidence that first-year seminar courses help improve student outcomes and success, and many of our institutions offer those kinds of opportunities for students (3). Part of the purpose of these courses is to help students develop the skills that they need to succeed in college while also cultivating their sense of community at the university. In my teaching career, I have primarily been involved in courses taken by first-year college students, including mentoring others while they teach first-year courses (4). To help starting to build that sense of community and express the importance of building those college success skills, I like to tell them about how I ended up standing in front of them as Dr. Trimby. I wasn’t interested in Biology as a field when I started college. I was going to be an Aerospace Engineer and design spaceships or jets, and I went to a very good school with a very good program for doing exactly this. But, college didn’t get off to the best start for me, I wasn’t motivated and didn’t know how to be a successful college student, so my second year of college found me now at my local community college (Joliet Junior College) taking some gen ed courses and trying to figure out what next. I happened to take a Human Genetics course taught by Dr. Polly Lavery. At the time, I didn’t know anything about Genetics or have a particular interest, I just needed the Natural Science credit. Dr. Lavery’s course was active and engaged, and even though it didn’t have a lab associated with it we transformed some E. coli with a plasmid containing GFP and got to see it glow in the dark (which, when it happened almost 20 years ago was pretty freaking cool!). This was done in conjunction with our discussions of Alba the glow-in-the-dark rabbit (5). The course hooked me! I was going to study gene therapy and cure cancer! After that semester, I transferred to Northern Illinois University and changed my major to Biology. So, why do I bring this up here? 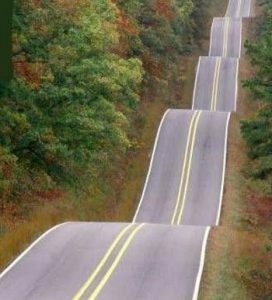 When I have this conversation with my undergraduate students, my goal is to remind them that there will be bumps in the road. When we mentor our students, whether it be advisees or students in our classes, it is important to remind them that failure happens. What matters is what you do when things do go sideways. That is really scary for students. Many of our science majors have been extremely successful in the lead up to college, and may have never really failed or even been challenged. What can we do to help our students with this? First of all, we can build a framework into our courses that supports and encourages students to still strive to improve even if they don’t do well on the first exam. This can include things like having exam wrappers (6) and/or reflective writing assignments that can help students assess their learning process and make plans for future assessments. Helping students develop self-regulated learning strategies will have impacts that semester (7) and likely beyond. In order for students to persevere in the face of this adversity (exhibit grit), there has to be some sort of hope for the future – i.e. there needs to be a reasonable chance for a student to still have a positive outcome in the course. (8) This can include having a lower-stakes exam early in the semester to act as a learning opportunity, or a course grading scale that encourages and rewards improvement over the length of the semester. Secondly, we can help them to build a growth mindset (9), where challenges are looked forward to and not knowing something or not doing well does not chip away at someone’s self-worth. Unfortunately, you cannot just tell someone that they should have a growth mindset, but there are ways of thinking that can be encouraged in students (10). Something that is closely tied to having a growth mindset is opening yourself up to new experiences and the potential for failure. In other words being vulnerable (11). Many of us (and our students) choose courses and experiences that we know that we can succeed at, and have little chance of failure. This has the side effect of limiting our experiences. Being vulnerable, and opening up to new experiences is something important to remind students of. This leads to the next goal of reminding students that one of the purposes of college is to gain a broad set of experiences and that for many of us, that will ultimately shape what we want to do, so it is okay if the plan changes – but that requires exploration. Teaching and Learning STEM: A Practical Guide. Felder & Brent Eds. Covers a lot of material, including more information of exam wrappers and other methods for developing metacognitive and self-directed learning skills. Covers a lot relating to student motivation and approaches that can encourage students to take a more intrinsically motivated attitude about their learning. A case study on growth mindset that also asks students to analyze data and design experiments, which can allow it to address additional course goals. President’s Council of Advisors on Science and Technology. (2012). Engage to excel: Producing one million additional college graduates with degrees in science, technology, engineering and mathematics. Washington, DC: U.S. Government Office of Science and Technology. Shaw, E., & Barbuti, S. (2010). Patterns of persistence in intended college major with a focus on STEM majors. NACADA Journal, 30(2), 19–34. Tobolowsky, B. F., & Associates. (2008). 2006 National survey of first-year seminars: Continuing innovations in the collegiate curriculum (Monograph No. 51). Columbia: National Resource Center for the First-Year Experience and Students in Transition, University of South Carolina. Wienhold, C. J., & Branchaw, J. (2018). Exploring Biology: A Vision and Change Disciplinary First-Year Seminar Improves Academic Performance in Introductory Biology. CBE—Life Sciences Education, 17(2), ar22. Philipkoski, P. RIP: Alba, The Glowing Bunny. https://www.wired.com/2002/08/rip-alba-the-glowing-bunny/. Accessed January 23, 2019. Sebesta, A. and Speth, E. (2017). How Should I Study for the Exam? Self-Regulated Learning Strategies and Achievement in Introductory Biology. CBE – Life Sciences Education. Vol. 16, No. 2. Briggs, S. (2015). 25 Ways to Develop a Growth Mindset. https://www.opencolleges.edu.au/informed/features/develop-a-growth-mindset/. Accessed January 23, 2019. 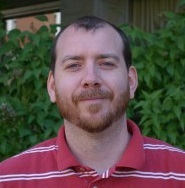 Christopher Trimby is an Assistant Professor of Biology at the University of Delaware in Newark, DE. He received his PhD in Physiology from the University of Kentucky in 2011. During graduate school he helped out with teaching an undergraduate course, and discovered teaching was the career path for him. After graduate school, Chris spent four years teaching a range of Biology courses at New Jersey Institute of Technology (NJIT), after which he moved to University of Wisconsin-Madison and the Wisconsin Institute for Science Education and Community Engagement (WISCIENCE – https://wiscience.wisc.edu/) to direct the Teaching Fellows Program. At University of Delaware, Chris primarily teaches a version of the Introductory Biology sequence that is integrated with General Chemistry and taught in the Interdisciplinary Science Learning Laboratories (ISLL – https://www.isll.udel.edu/). Despite leaving WISCIENCE, Chris continues to work on developing mentorship programs for both undergraduates interested in science and graduate students/post-docs who are interested in science education. Chris enjoys building things in his workshop and hopes to get back into hiking more so he can update his profile pic. .